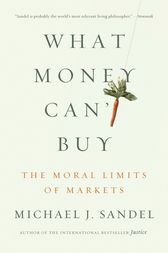 Michael J. Sandel is the Anne T. and Robert M. Bass Professor of Government at Harvard University. His work has been the subject of television series on PBS and the BBC. His recent books include the international bestseller Justice: What's the Right Thing to Do?